Provided by Runton Parish Council - Proud to be classed in the Foundation Level of the Local Council Award Scheme. 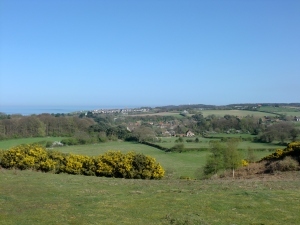 The villages of East and West Runton are situated between Sheringham and Cromer one mile apart on the North Norfolk Coast. With quiet unspoilt beaches, miles of footpaths, bridleways and commons with benches to relax on. There are car parks in both villages. In East Runton situated on the cliff top at Beach Road the car park is a Pay and Display. At West Runton situated on the A149 at the east end of the village, the car park is provided by the Parish Council and is free. There is also parking at the cliff top which carries a small charge. There are large friendly caravan sites in both villages and ample camping facilities. The villages have a good variety of thriving shops from which fresh produce is available, including camping equipment and outdoor clothing shops, butchers and family-run small supermarkets. Post office at West Runton. 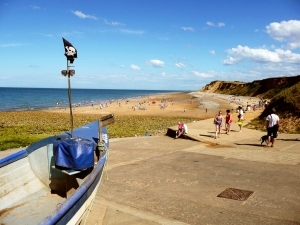 East Runton boasts two public houses, a club and restaurants and a sports ground. At West Runton, there is a public house and a large hotel with a nine-hole golf course, a beach café and a restaurant in the village street. Buses are frequent through both villages and there is a railway station at West Runton.